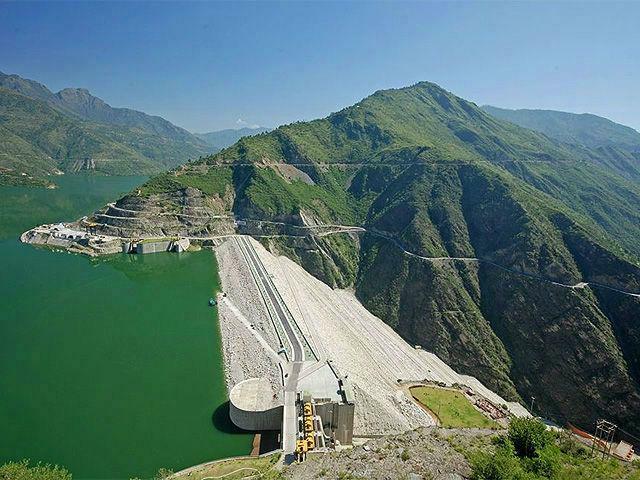 The Tehri Dam and Hydropower Plant is a saga of shattered dreams. Hundreds of thousands of people have already lost their homes and livelihoods to the project, which lies on a Himalayan fault line. Continuing construction has cost workers their lives, and seismologists fear thousands more in surrounding settlements and downstream cities could be displaced or killed if the dam fails. At 260.5m high, the Tehri Dam is the largest in India. About 5500ha of agricultural, forest and other land were taken over by the project. Activist Vimal Bhai, in Water Conflicts in India: A Million Revolts in the Making, estimated the affected number of people was likely higher than official estimates, suggesting about 100,000 people were directly affected, while about 80,000 people on the other side of the Bhagirathi-Bhilangna lost access to basic amenities as well as important towns. Bhai said the project faced opposition and controversy from its inception in the 1970s. Key areas of protest are the project's negative socio-economic impact on villagers and their subsequent displacement, as well as its environmental hazards and latent seismic threats. Rehabilitation measures for the displaced have been poor. New Tehri city is ill-suited to residents from health and livelihood points of view, as well as being located in an active seismic zone. Seismologists pointed out the dam lay in a major fault zone and was likely to experience an earthquake measuring greater than 8.0 on the Richter scale in the next 100 years. Following the April 2015 Nepal earthquake, which measured 7.8, risk analysts determined the likelihood of "the next great earthquake rupture" in the region was increased. In 2004 a landslide killed 29 workers constructing a tunnel. Down to Earth magazine reported the THDC did not comment on the deaths, but construction contractors Jaypee Group then-chairman J P Gaur said "The dam is strong but inherently the mountains are weak". Financial assistance and compensation to those displaced by the project have been inadequate. According to Bhai, in March 2004 the District Collector confessed that R770,000,000 (US$11.4 million) of funds meant for rehabilitation had been diverted for other expenses, and the government was not in a position to pay that amount back to the Tehri Hydro Development Corporation (THDC), the project managing company. Villages not submerged in the project's reservoir face the likelihood of landslides as water levels destabilise surrounding hills. In 2010 the THDC sought permission from the Supreme Court to store water above the permitted 820m level to protect downstream cities Rishikesh and Haridwar from flooding. “But what about people living here?”, New Tehri BJP leader Prem Dutt Jual asked. Between September 18 and 20 the THDC took the water level to 832m; on November 7 residents of Sarot, which is at 840m, carried out a hunger strike after 15 houses collapsed in a landslide and owners were not compensated. “The state government claims it has no money for rehabilitation. But it is entitled to 12 per cent free power generated by THDC. Revenue from this power is supposed to fund rehabilitation, which is not being done,” Bhai, also the convener of Matu Jan Sangathan, said. According to Jual, the actual damage due to the reservoir could be seen up to 1250m. Bhai, Vimal. 'The Tehri Dam Project: A Saga of Shattered Dreams', Water Conflicts in India: A Million Revolts in the Making, New Delhi, 2007.